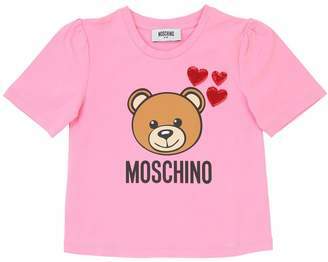 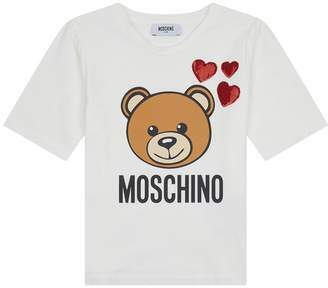 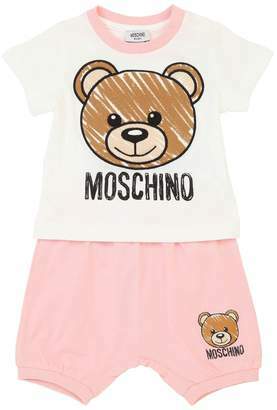 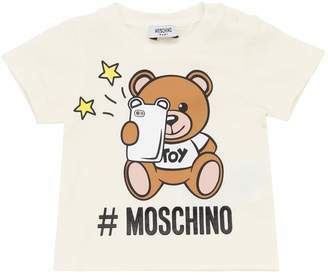 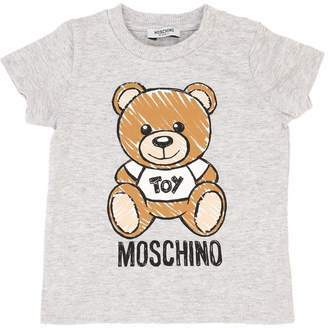 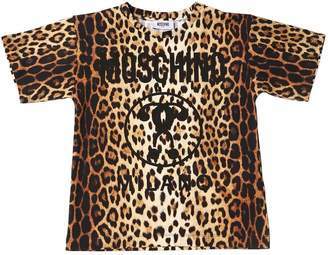 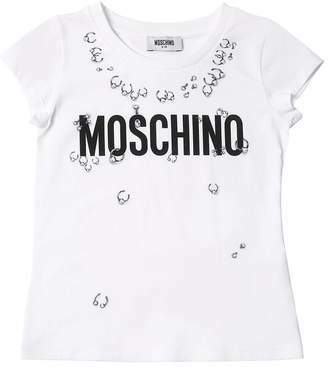 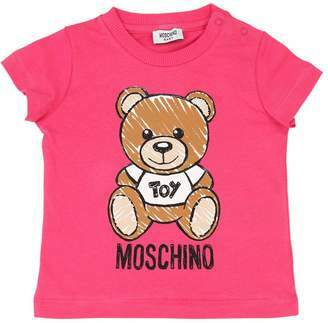 Jeremy Scott's playful take on style is back with the new Moschino collection. 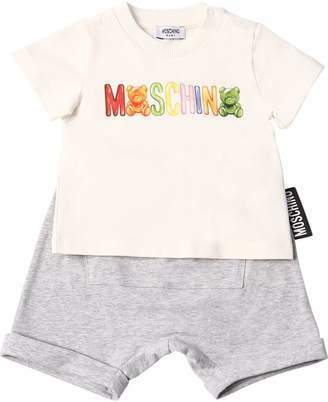 Trickling down from the grown-up runways, this season it's all about easy-to-wear shapes, fun cartoon prints and clashing colour combinations. 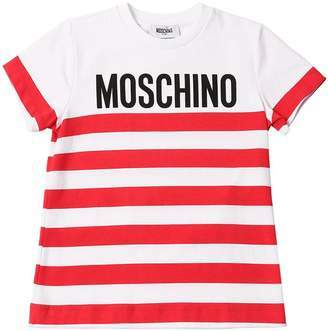 This red cotton blend logo belt print T-shirt features a round neck, short sleeves, an a-line shape, a straight hem and a multicolour logo belt print.